21% of marketers say that email is the marketing channel generating the best ROI, and according to the National Client Email report 2015, this average ROI is of $54 for each $1. Now could this return be even higher if marketers were to adapt their emails to their on-the-go audience? Let’s dive in and see how e-commerce sites could leverage real-time data. Smartphones allow us to have internet at our fingertips at all times, so we can check our emails anytime, anywhere. Desktop used to be far ahead of mobile in terms of email marketing statistics but not so much anymore. 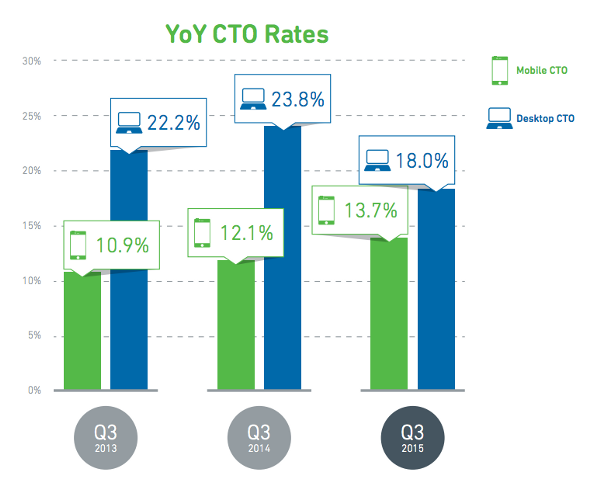 Indeed, a recent report shows that the gap between mobile and desktop click-to-opens (CTO) continues to close, with desktop CTO down 17.2% compared to 2014, and mobile CTO up by 13.4% for the same period. But that is not all. Not only are mobile opens and clicks up, but revenue generated from smartphones also is. It has actually increased by 9.9% in a year with smartphones now driving 56.6% of all mobile revenue — tablets accounting for the remaining part. 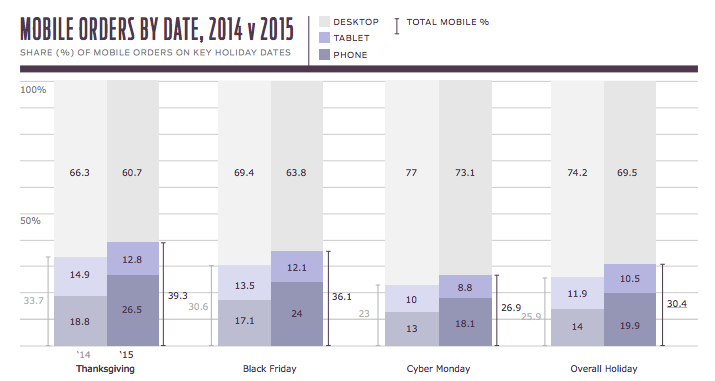 Now let’s take look back a couple months ago and look at the e-commerce holiday email marketing figures. A Custora study shows that nearly a third of online purchases (30.4%) were made on a mobile device in December 2015. Another interesting fact is that Black Friday was “Mobile Friday” for yet another year with 36.1% of sales made on phones and tablets. Now with so many people opening your emails and ordering products on mobile, how can you make sure to offer them the best user experience? Well the key is data. In order to always send them relevant emails, you need to leverage contextual data (location, weather, device, etc.) in real-time. If you have a mobile app, a smart move would be to adapt your email content to each opener’s device. You could then display a banner inviting recipients to download the app if they open your email on mobile. Actually, a new report from Criteo found that app conversion rates are 120% higher than mobile browser conversions so device-targeted emails are crucial. 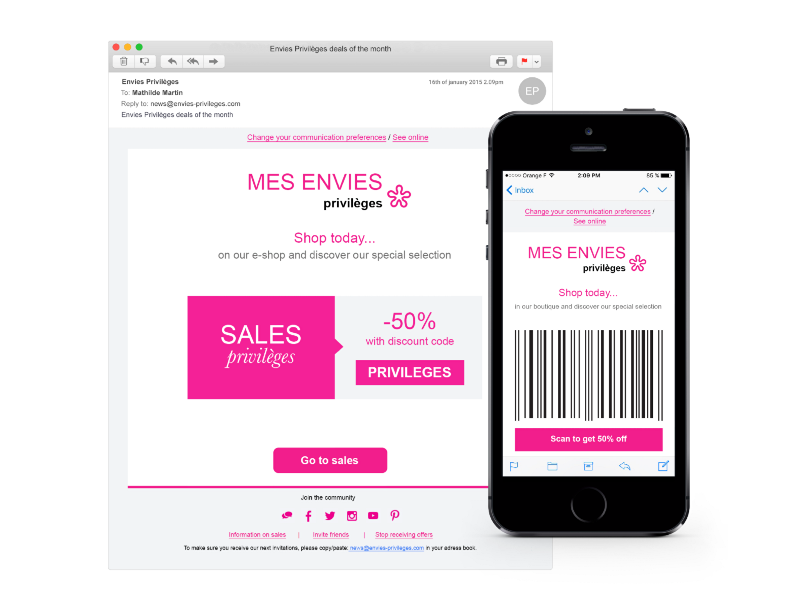 Now if you have an e-commerce website but also a physical store, you can use email intelligence technologies to display different coupon codes based on the moment-of-open device. So you could decide to display a barcode coupon for mobile openers — to scan in-store — and a text code coupon for those opening on desktop — to use on your website. 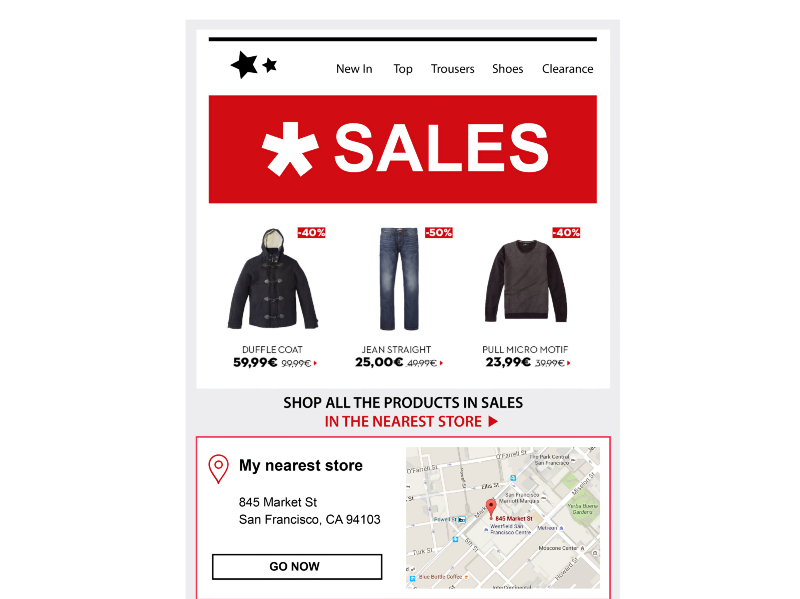 Another way to generate traffic in-store would be to use your recipients’ location in real-time. Basically, email marketing technologies could, at each opening of your email, detect each opener’s location in order to insert a map in the email showing them where the nearest store is and how to get there — and the map will be updated every time someone opens your email. 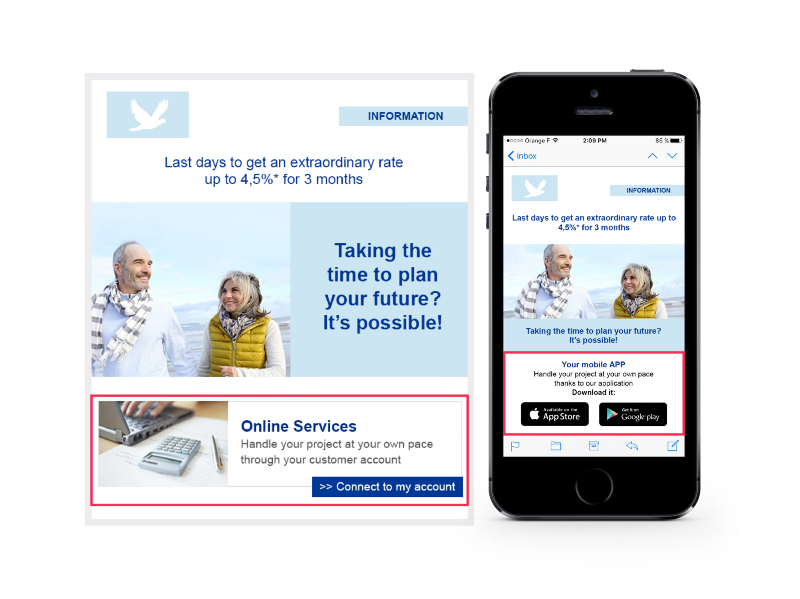 Now I’d love to hear your thoughts: What do you think of mobile email marketing? Have you ever insert live content into your emails? How did you do so and how were the results? Do you think context is important in email marketing? 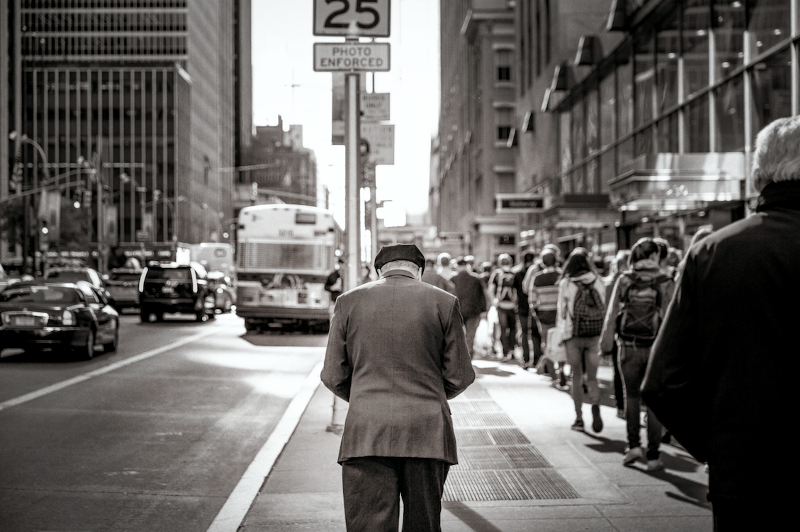 This article was written by Delphine Moulu from Business2Community and was legally licensed through the NewsCred publisher network.